Spanish wine still offers some of the best value in the world. And, whenever the Wine Curmudgeon despairs about the future of cheap wine, I drink something Spanish like CVNE’s Cune Crianza and feel better. The Cune Crianza ($13, purchased, 13.5%) is everything an inexpensive Spanish Rioja (a red wine made with tempranillo from the Rioja region in northern Spain) should be. It’s varietally correct, with that faint orange peel aroma, not quite ripe cherry fruit, and a bit of earth and a touch of minerality. The touch of oak offers a little vanilla, but it’s in the background and doesn’t take over the wine. In this, there is a tremendous amount of structure for a crianza – the least expensive class of Rioja, and one that sees little of the oak aging that helps to provide structure. And yes, it’s worth the extra two or three dollars – especially when you consider the alternative is something likes this. Highly recommended, and a candidate for the 2019 $10 Hall of Fame and the $2019 Cheap Wine of the Year. The past year has not been kind to cheap wine, but the CVNE Cune Crianaza is a reminder about what is possible. Rioja, the Spanish red wine made with tempranillo that comes from the Rioja region of northern Spain, is one of the world’s great wine values. And it doesn’t matter whether you want to spend $10 or $100. Case in point: the La Rioja Alta Vina Ardanza ($37, purchased, 13.5%). In the past decade, Rioja producers have been caught between Parkerization, which demanded riper, higher alcohol wines for a high score, and traditionalists, who believed in Rioja’s legendary terroir. The traditionalists won; even Parker likes the La Rioja Alta Viña Ardanza, giving it 93 points. Their victory is a triumph for everyone who appreciates terroir and making wine taste like where it came from. The blend is 80 percent tempranillo and 20 percent garnacha, and the latter smooths out the tempranillo but doesn’t cover it up. The result is a full, open, expressive, and traditional Rioja that is a joy to drink. Look for an inviting earthiness, the lovely and telltale orange peel, and rounded cherry fruit, all balanced by a subtle acidity and a hint of tannins. There is even a little baking spice tucked in – the whole is truly greater than the sum of the wine’s parts. This vintage should age and improve for another five years or so, but is ready to drink now. Highly recommended, and especially as a Father’s Day gift for a red wine drinker who wants something different. Or who appreciates classic wine produced in a classic manner. The first rule of wine criticism – never, ever judge a wine before you drink it. The Bilbainas Zaco is a case in point. The Bilbainas Zaco ($10, purchased, 14.5%) is not the sort of Spanish red from the Rioja region that I would normally buy; in fact, I bought it by accident, thinking it was something else. So when it was time to taste and I read the back label and saw the alcohol, I was prepared to write the wine off before the first sip. “Full bodied,” which is winespeak for too ripe fruit, is not what I want from Rioja. Which is why there is the first rule of wine criticism. The Bilbainas Zaco is surprisingly enjoyable, even if it doesn’t exactly taste like tempranillo from Rijoa. There isn’t anything subtle or sophisticated here – just cherry fruit and a style that comes from young, not much aging before it’s released, Rioja. It’s a little rough from all the alcohol and the very unrefined tannins, but not in an unpleasant way. In other words, exactly the kind of wine that got 90 points from Parker and the Wine Spectator and that I would dismiss out of hand. The Wine Curmudgeon has always been ambivalent about samples. Yes, they save me a lot of money, but too much of the wine I get as samples isn’t worth drinking — let alone writing about. One of the few times I’ve missed samples is when the El Coto Rioja stopped showing up. That’s because the El Coto Rioja ($10, purchased, 13%) is one of the world’s great cheap wines, and samples mean I get every new release. Buying it is much more hit or miss; I haven’t tasted the wine in more than two years. Which is entirely too long. This is classic tempranillo, a red wine from the Rioja region of Spain. And the price makes it all that much better. All of the varietal character that is supposed to be in this kind of wine is there: the bright cherry color, the fresh red fruit with a touch of orange peel in the aroma, and the tart cherry fruit and spice flavors. Know, too, that Crianza is the most affordable and accessible of the three versions of Rioja, so it’s supposed to be simple – and simple does not mean stupid. Highly recommended, and a candidate for the 2019 $10 Hall of Fame. This is winter red wine, perfect for stews, braises, and almost anything else (a sloppy cheeseburger and onion rings?) when it’s cold and snowy and you want to sip and to sigh and to enjoy. This spring, I tasted a half dozen or so wines from Franco-Espanolas, a 125-year-old Spanish producer. I liked almost all of them, and even the one or two that I didn’t like were well made and worth what they cost. Unfortunately, I haven’t been able to write about most of them because their availability is limited. The rose, for example, is classic Spanish pink and $10 Hall of Fame quality. But it’s almost impossible to buy in the U.S. unless you live in a couple of East Coast states. Which brings us to the the Franco-Españolas Bordón Gran Reserva ($30, sample, 14%). It’s as excellent an example of this style of red wine from Rioja as I’ve tasted in years. It reminded me what great Rijoa, made in the traditional way, can be. The wine is a stunning value. Yes, almost old-fashioned, but done impeccably, from the quality of the fruit to the two years of oak aging (something that is especially relevant given the recent fake oak controversy on the blog). The Franco-Espanolas Bordon Gran Reserva is a textbook example of Rioja – earthy, green herbs, a touch of sweet cherry from a little garnacha blended with the tempranillo, plus plum and bitter orange. My notes say, “Just delicious,” which says it all. Highly recommended. Pair this with any red meat, and drink it now. For one thing, it’s too good a wine to let sit, though it might have a year or two left of aging. It’s not news to write that Spanish wine offers the best value in the world today. What is newsworthy is that the Muga Rioja Reserva surpasses even Spanish standards for quality and value. The Muga Rioja Reserva ($26, purchased, 14%) may be $40 worth of wine if it came from France or California. But given that Muga is a top-flight producer, that’s not surprising; its wines, whether the $12 rose or its most expensive reds, consistently deliver more value and quality than they cost. This is a surprisingly traditional Rioja given that garnacha is blended with tempranillo, as well as the 14 percent alcohol – very high for this style of wine. That means tart cherry fruit; layers of flavor, including green herbs, a smokiness that hangs around the edges and just the faintest note of oak. There is also the more common black pepper and orange peel. The garnacha adds richness to the wine, and it’s not as rustic as other vintages. The Muga Rioja Reserva should age for at least a decade. As it does, the layers will become noticeable and more of a whole, while the flavors will become more full. Highly recommended; pair this with any grilled or roasted dinner, whether beef or chicken. We’re not quite at the point where we can buy Spanish wine knowing nothing about it save what’s on the front label and be assure of quality and value. But we’re getting closer. 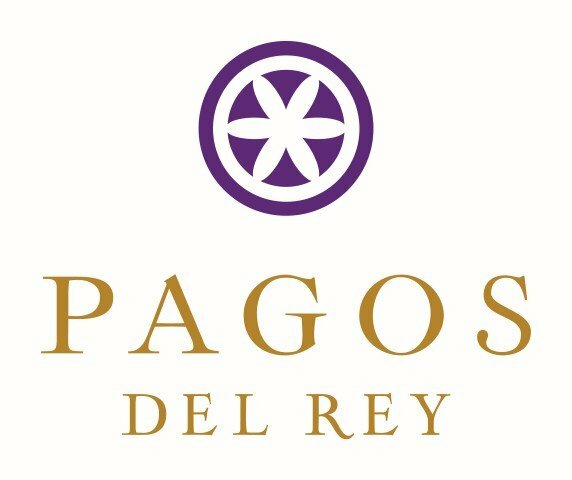 Case in point is the Pagos Del Rey Arnegui ($10, purchased, 13.5%), which I bought knowing only it was from the Rioja region in Spain, was made with tempranillo, and was supposed to have minimum oak. Tempranillo is the red grape in Rioja, and crianza is the simplest style and uses the least oak aging. What did I get? Classic $10 crianza – cherry fruit, a hint of orange something or other, a dash of herbs, a surprisingly full mouth feel for a wine at this price, the soft tannins characteristic of Rioja, and what the tasting notes claim was real oak (and even a bit more than I wanted). All in all, hard to believe if I hadn’t tasted it. Pair this with roast beef or chicken, and even peppers, onions, and sausages. How can the Spanish do this? Some of it is the lower cost of production, including inexpensive land and cheaper labor. Some of it is tradition melded with modern winemaking. And some of it, sadly, is that demand isn’t what it should be. Too much of the rest of the world is chasing the latest 92-point sweet fruit and chocolate wonder and doesn’t know this kind of wine exists. That’s their loss.